No matter where you are during Philly Tech Week 2017, chances are your partners at Comcast NBCUniversal will be there, too! Philly Tech Week is the city’s biggest, annual celebration of tech and innovation, and #PTW17 is filled with exceptional experiences from April 28 – May 6. With such a packed calendar, it might be easy to overlook some must-do events. Luckily, if you’re looking to connect with someone from Comcast NBCUniversal, there are at least these 10 opportunities! Start @ Benjamin’s Desk, 601 Walnut St. This year, the kick-off event has been transformed into an Innovation Crawl that will stop at some of the brightest spots in the Philly tech scene. Guests will travel from Technically Media’s HQ at Benjamin’s Desk in the Curtis Center to hotspots: The Yard, CultureWorks and WeWork. Before you begin the crawl, come by the Comcast NBCUniversal booth at Ben’s Desk to say hello to the Entrepreneurial Engagement team, learn about LIFT Labs for Entrepreneurs, and get some free swag. Looking for a new role? Reps from our Talent Team will participate in the crawl with you! PHL Next Stage, 3001 Market St. The Mayoral Town Hall will kick off with opening remarks from Comcast NBCUniversal’s MachineQ team. This is a great chance to learn a little something about how this new technology is shaping the future. The Entrepreneurial Engagement team will be there, too—stop by our booth to play “Write Your Startup Story,” developed by the creatives at Philadelphia’s own Allen & Gerristen. Public Health Management Corp., 1500 Market St.
Health technology is one of the fastest growing industries in the world and this panel of technologists and industry leaders can’t wait to show off the future they’re building. Comcast NBCUniversal innovation champions will be there for the live demonstrations from tomorrow’s leading health sciences startups. Plus, there’s a happy hour and a chance to meet those who hold tomorrow’s health in their hands. The digital space is changing faster than ever, and marketing is speeding ahead to match. Confused by chat bots, augmented reality and IoT? Then you cannot miss this event that covers the top trends in the digital marketing space. Dan Barcus, Comcast Vice President of Digital Marketing Strategy, will be there to talk about transforming the customer experience with digital first! The Entrepreneurial Engagement team will be there all day so come by and learn about how we might be able to partner. Benjamin’s Desk, 1608 Walnut St. Some of Philly’s most impressive technology companies are led by veterans here in Philadelphia. Meet some of our brightest service men and women, as they show how their unique insights led them to excel. Danielle Cohn, Executive Director, Entrepreneurial Engagement, Comcast NBCUniversal, will do a quick chat about how startups can connect with our team. Interested in learning how television is changing and what the future holds for its audience? Sean Brown, Executive Director, Advanced Applications for Comcast NBCUniversal will give a not-to-be-missed presentation 5 p.m. about building the best app for television. 23rd Street Armory, 22 S. 23rd St.
Philly Startup Leaders brings the ninth annual Entrepreneur Expo to PTW and Comcast NBCUniversal is proud to be a sponsor of this Philly startup showcase! Stop by and “Write Your Startup Story” at our booth, and we’ll have plenty of free giveaways! We’ll be checking out the demos, or come talk to us about what you’re working on! La Peg, 140 N. Christopher Columbus Blvd. Get up early for this CNBC Small Business Week breakfast featuring “The Profit,” where investor Marcus Lemonis offers struggling small businesses capital investment and his expertise. The CBNC show will be holding auditions, so don’t sleep late, or you might miss your opportunity! WeWork, 1010 N. Hancock St. This is an off-the-cuff, unfiltered and unapologetic event, where a variety of speakers share stories of their past failures and what they’ve learned along the way. Come meet the Comcast Business team who will make opening remarks and answer your business services questions. Pennovation Center, 3401 Grays Ferry Ave.
You won’t want to miss the grande finale, as Comcast NBCUniversal presents Philly Tech Week’s Signature Event, mashing together a reception with an interactive local technology expo. This is a celebration of Philadelphia’s technology community with all of Philly Tech Week’s attendees, sponsors, partners and event organizers. There’ll be an Entrepreneurial Engagement booth with ice cream, games, and all sorts of giveaways! 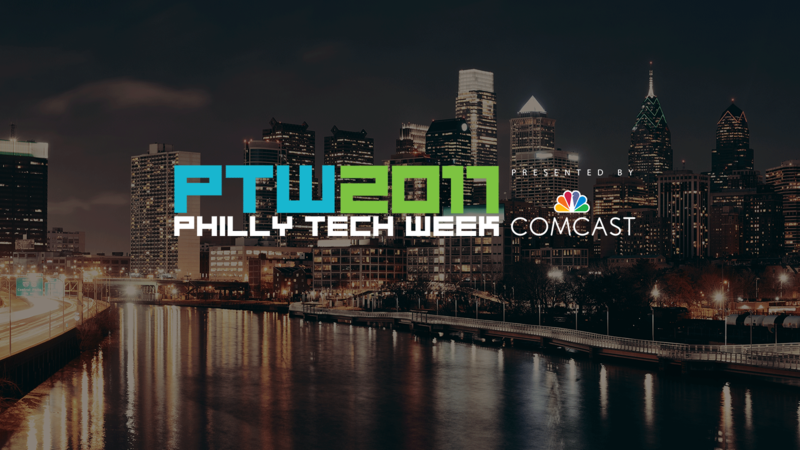 View all the places you’ll find Comcast NBCUniversal’s Entrepreneurial Engagement team during PTW17! And if for some reason you can’t connect during PTW, you can always find us at ComcastPartner.com.